Hello world! From an Atheist in Arizona, where the weather is nice and the politics aren’t. Introduction: I’m in Arizona and I’m an Atheist. That explains the name. I’ve been blogging for a little over a year. The host I was using went “Tango Uniform” and now I’m on my own. Sometime in 2005, I decided that I was ready to retire from work but I needed something on which to focus. It was obvious that I had advanced as much as I could at work. I retired from the United States Air Force on the first day of 2000. I began work for Raytheon in the middle of January in 2000. Great job, good pay and very rewarding but stressful. The stress while working a program was acceptable. However, the stress of being between programs was not pleasant at all. I was getting paid a fortune– too much–and I felt guilty about it especially when between programs. Enough of that. I really don’t have to justify why I decided to stop working. I collect earned retirement pay from the Air Force, I have rental property, and enough saved up to allow me the opportunity to retire while I’m still healthy. Work didn’t define me. I define me. Now, I define myself as a person who has dedicated his life to promote reason and rationality. 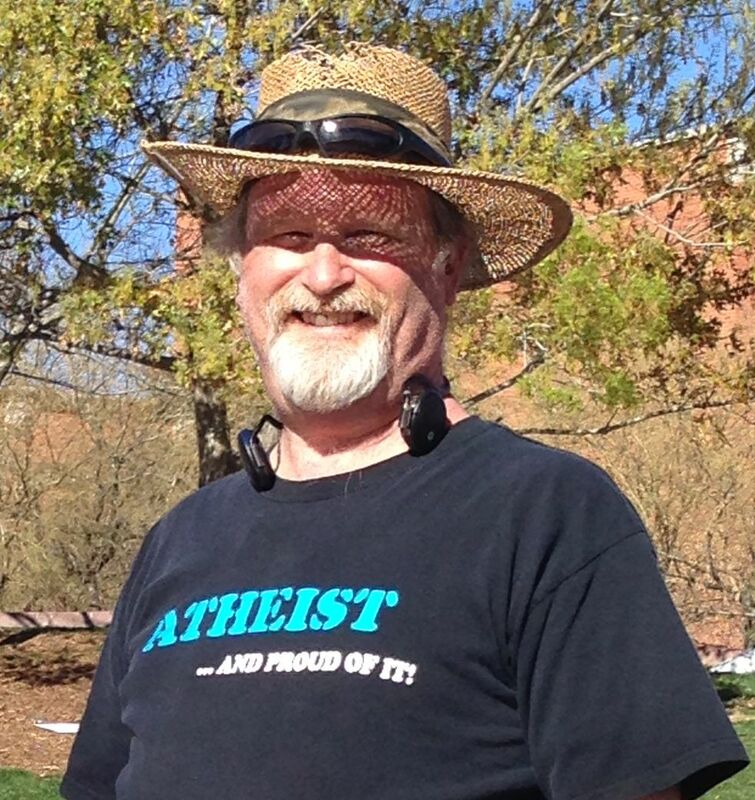 I’m the Arizona State Director for American Atheists. I organize a couple of local meetup.com groups–Tucson Atheists and Skeptics of Tucson. I’m on the board of directors of the local Secular Humanist group–FreeThought Arizona and now, once again, a blogger. This entry was posted in Uncategorized and tagged Arizona, Atheist, Politics, Skeptic. Bookmark the permalink. 1 Response to Hello world! From an Atheist in Arizona, where the weather is nice and the politics aren’t.